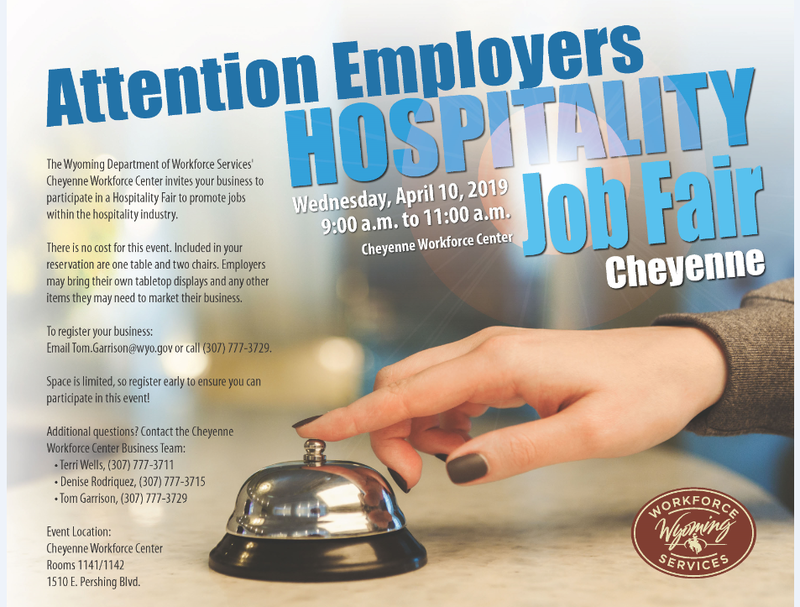 The Wyoming Department of Workforce Services&apos; Cheyenne Workforce Center invite your business to participate in a Hospitality Fair to promote jobs within the hospitality industry. There is no cost for this event. Included in your reservation are one table and two chairs. Employers may bring their own tabletop displays and any items they may need to market their business. Space is limited, so register early to ensure you can participate in this event! For more information, contact Jeff Schulz at 307-777-3704 or at jeff.schulz1@wyo.gov.